Smoked Salmon Mix Brine Ingredients in a glass dish. Place Salmon skin side up in mixture. Place in refrigerator for 2 hours. Remove Salmon from brine, pat dry and allow to dry for 1 hour at room temp. Squeeze lime juice on salmon & sprinkle fresh Thyme & Paul Prudhomme's Seafood Magic on top of salmon. Spray rack in smoker or grill with non stick cooking spray. 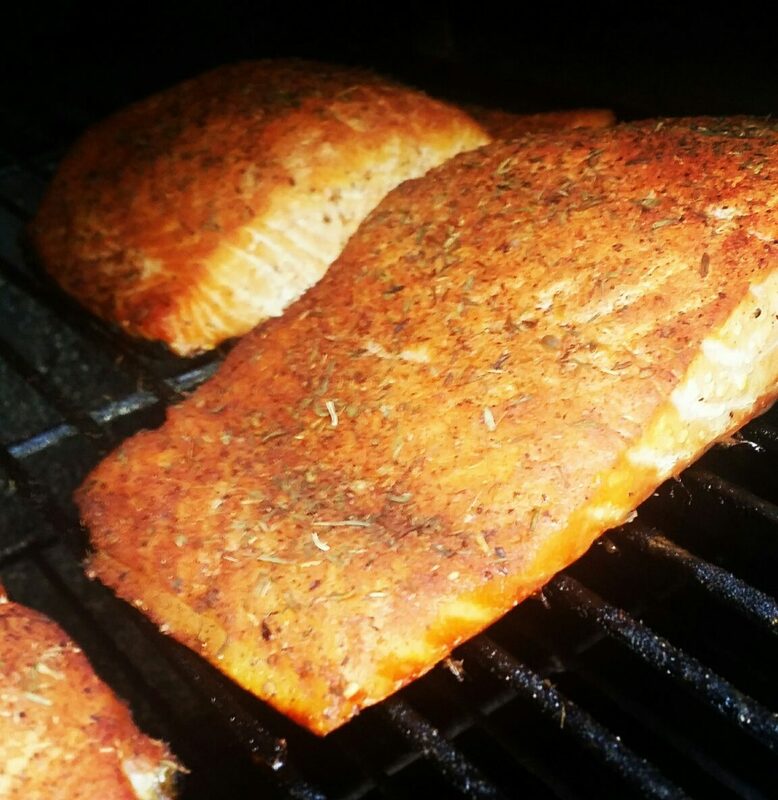 Set Smoker or grill to 175° Place Salmon on rack, skin down. Cook until internal temperature of salmon is 145°, usually about 1 hour and 45 minutes. Use Cedar wood for the smoke.